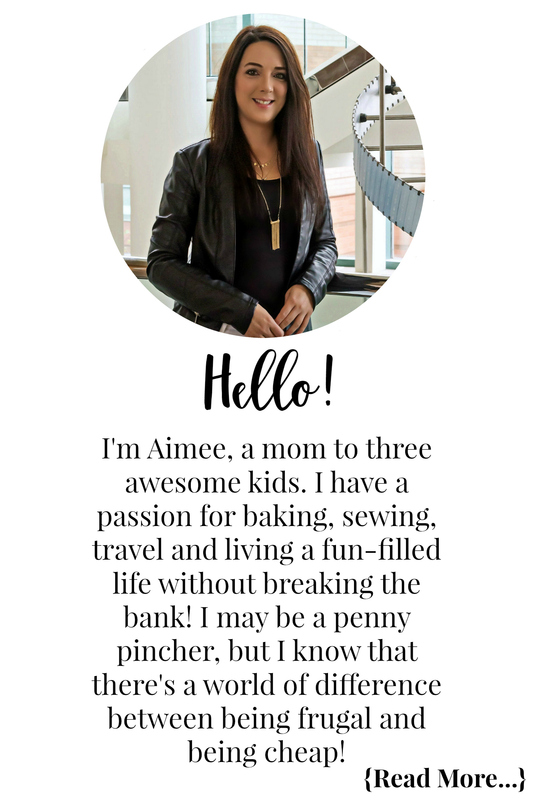 The countdown to our annual vacation to escape the cold Canadian winter is on and today I am sharing my Must-Have Beach Vacation Essentials. 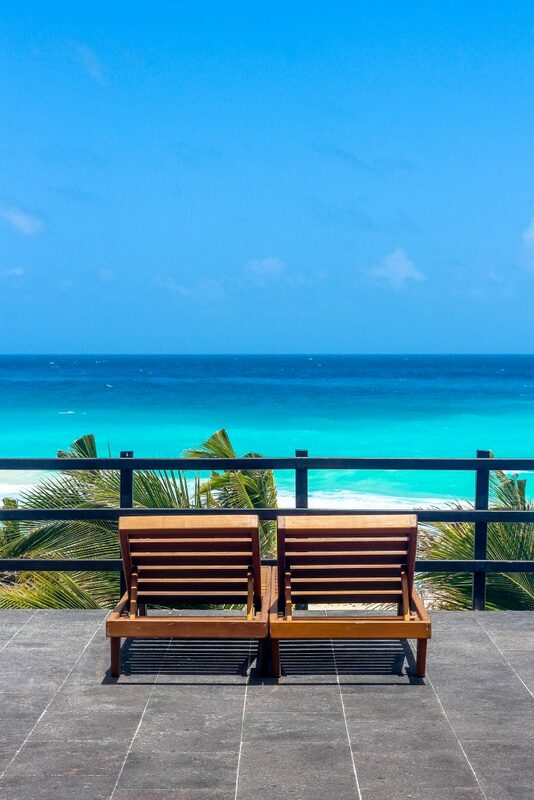 We are headed back to our favourite place, Cancun, Mexico! As usual, we will be staying at our usual resort, The Pyramid Grand Oasis. I have been known to be an over-packer, it’s hard not to be sometimes. In the back of my mind, I would rather over pack than be on vacation and not have something. I am getting better, maybe. Last year I opted to pay for an extra bag and I will be doing the same this year. This way I don’t have to worry about cramming everything I buy on vacation into my main suitcase, or having it be overweight. Speaking of bags being overweight … I am currently reliving a 3 am shuffle at the airport between my bag and Steve’s. My bag was a little over the weight limit and I had to move some things to Steve’s bag so I didn’t have to pay. That is why this year I am opting to just pay for an extra bag. After all, it is only like $35 or something. I will gladly pay that so I don’t have to shuffle stuff at 3 am at the airport! 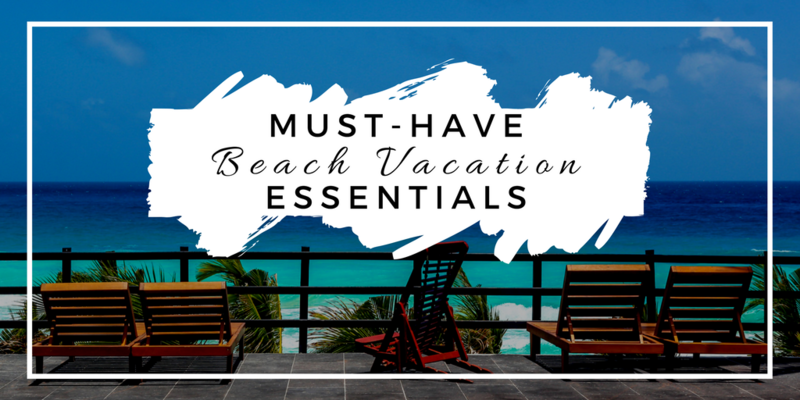 Below I am sharing some of my must-have beach vacation essentials. 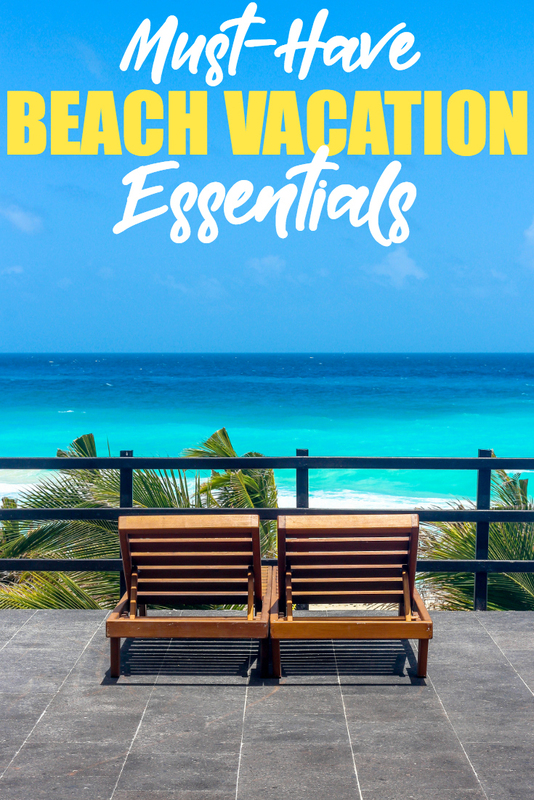 I am sure I’m forgetting a few things, I have yet to pack or even start my list, but these are the things I 100% cannot live without on vacation! Sometimes all that lovely ocean water and sun can leave my hair feeling less than lovely. I always make sure to pack two of my fave products to help keep my hair hydrated! Taking care of my skin while on vacation is very important. I always make sure to bring all my facial care needs on vacation because the last thing I need is a breakout. For makeup I have my NUDESTIX products because they are simple, give my skin a gorgeous glow, and they are water-resistant. I also have a few other makeup products for fuller coverage when we go out on the town. I’m head over heels in love with NUDESTIX products. I was first introduced to them at The National Women’s Show in Toronto and have been addicted ever since. 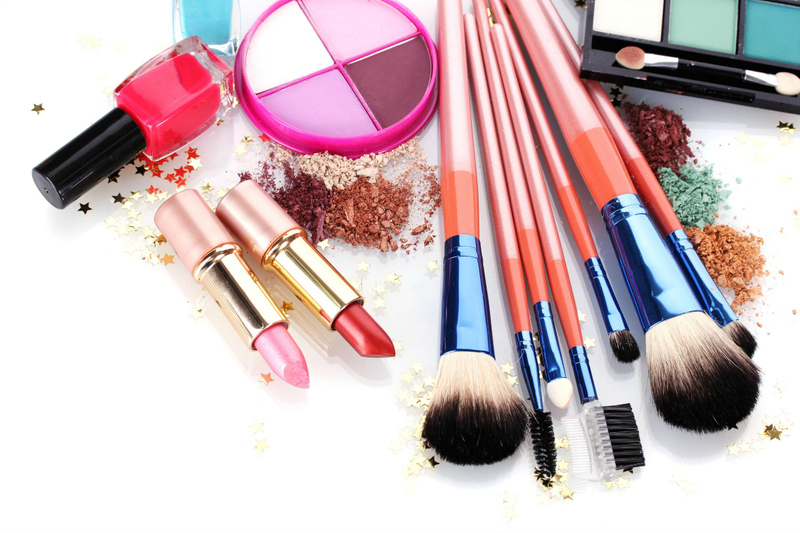 Their makeup products are so easy to use and just make you glow! If there is one thing I can’t pack enough of it is hand sanitizer. While I usually pack my own anti-itch cream, I do find the stuff they sell in the pharmacy in Cancun way better. I usually buy a few to bring home! My health & hygiene must-haves are mostly things everyone brings. The only one that stands out that some may not think of is a body scrub. 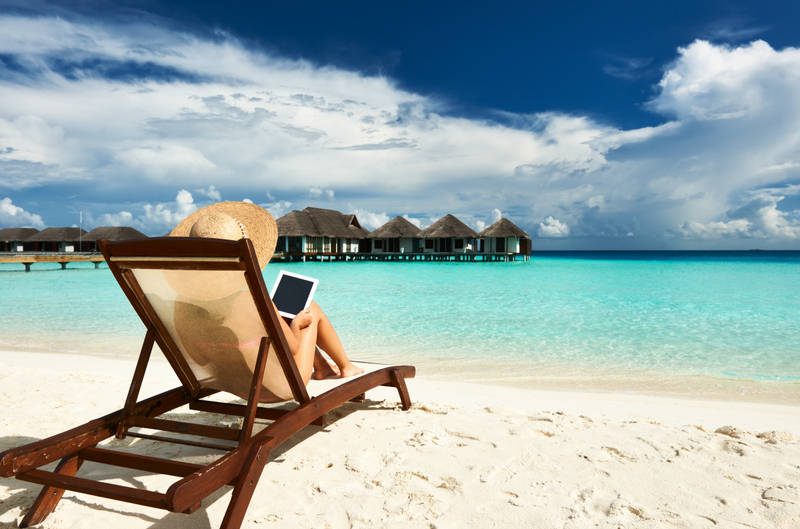 Catching some serious sun on vacation can leave your skin dry and it may start to peel. I always bring a scrub to use every other day to keep the flaky skin at bay! This is where I tend to over pack the most. I can never decide on outfits, so I generally bring a crapload of clothes. One thing is for sure, I always wear and pack a comfy outfit for the plane ride. There is nothing worse than being cold or uncomfortable on the flight. When I get to my destination I pop in the bathroom and change into less clothing! I’m a huge bikini lover and I like them to be a bit cheeky. I always buy my bikini bottoms on Amazon, they have an amazing selection of bottoms that don’t fully cover the tush. While I do try to unplug while on vacation I have three children back home I like to talk to every day. We Facetime with them so I always pack my iPhone and iPad. I also love to take photos while on vacation so my camera is a must! One thing I never thought to bring on my first vacation was a drink container. The cups they give you at the resort are small and I hate going back to the bar every 5-10 minutes. Now I bring my own large drink container that they fill up so I can have more relaxation time at the beach! 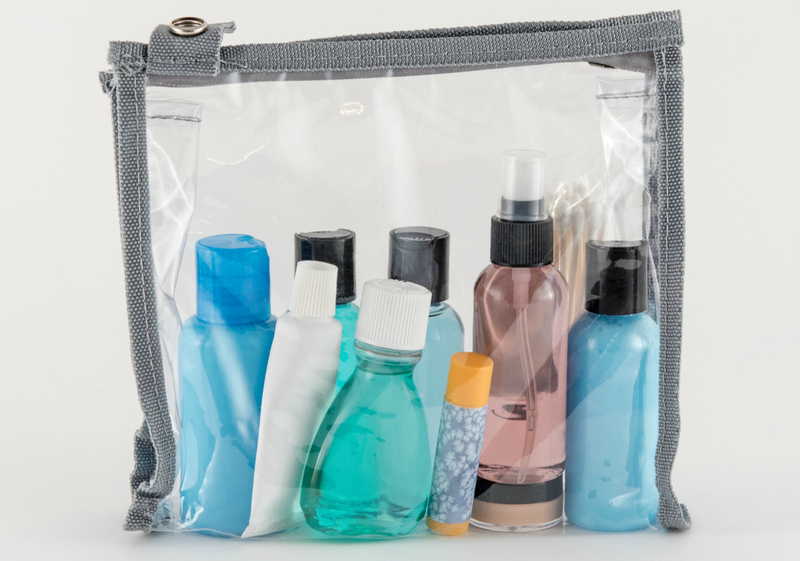 What are your must-have products to take with you on vacation? The drink container is a must, we always bring one and then leave it behind for the staff or another guest.